Smooth video streaming. Responsive online gaming. Better connectivity. Linksys is leading the field of Wireless-AC innovation with groundbreaking enhancements and state-of-the art features that deliver peak network performance. For lag-free gaming and uninterrupted HD streaming, 4x4 AC offers the fastest Wi-Fi technology with four simultaneous, independent data streams for all your gaming and streaming experiences. Tri-Band technology is up to 2x faster than dual-band AC, providing more Wi-Fi at faster speeds to connected devices. 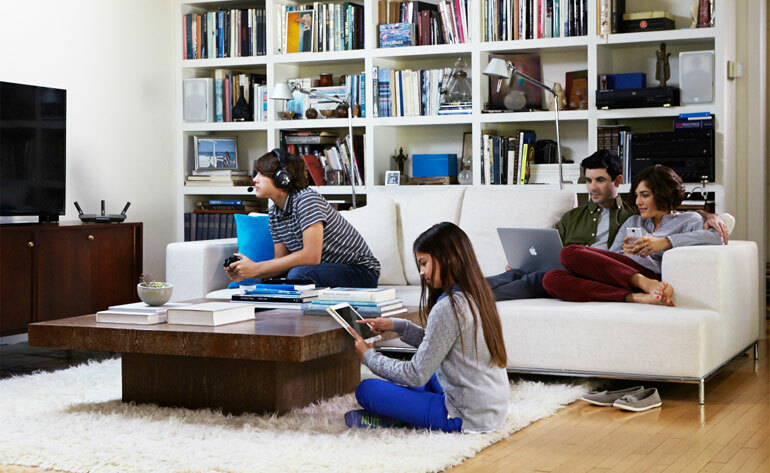 Linksys 802.11ac routers enable everyone on your network to do more at the same time with less interference for a better entertainment experience. Linksys Wireless-AC routers are able to transmit a large volume of data, and channel the data to multiple parallel paths for optimal throughput. And with higher modulation and twice the channel bandwidth, Wireless-AC technology moves data up to 4.3x faster than Wireless-N. The Beamforming technology featured in Linksys Wireless-AC routers minimizes interference to transfer data faster, so you can enjoy high quality media streaming at a wide range. Beamforming works by focusing the Wi-Fi signal directly to your networked smartphones, tablets, and laptops for a concentrated data transmission. If you’re using a mobile device, like a laptop, tablet or smartphone to connect to your home network. 802.11ac Wireless-AC technology provides optimal transfer speeds for better wireless connections. This increased efficiency translates to less drain on your batteries. There’s no need to toss last-generation devices when upgrading your Wi-Fi network. 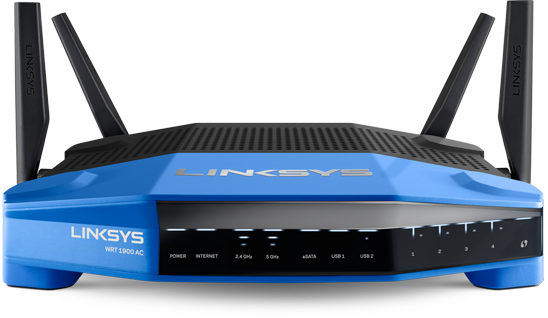 Linksys Wireless-AC routers are compatible with a/b/g/n Internet protocols.